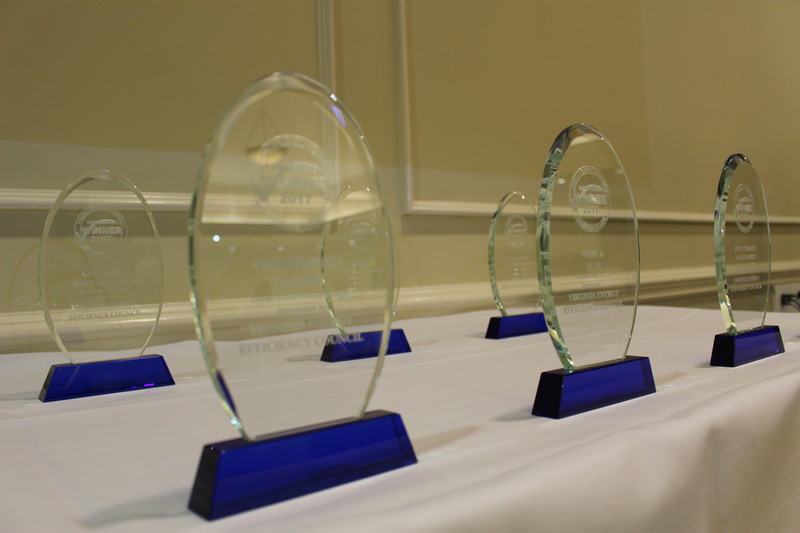 Richmond, Virginia (November 2, 2017) – The Virginia Energy Efficiency Council (VAEEC) honored the winners of its 2nd annual Virginia Energy Efficiency Leadership Awards at a reception in Richmond tonight attended by more than 125 people as part of the VAEEC Fall Meeting. 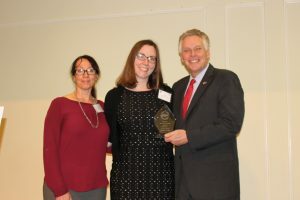 Governor McAuliffe received the first-ever Award of Excellence for his leadership on energy efficiency during his tenure as Governor. 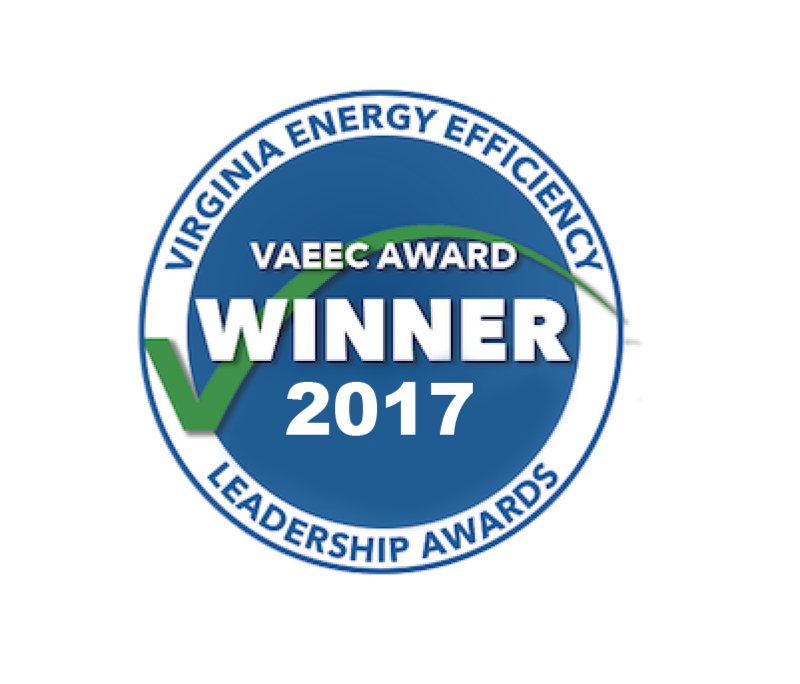 VAEEC received more than 45 nominations for the 6 awards which showcase how energy efficiency champions across the Commonwealth are helping businesses, schools, government and homeowners save money on energy expenditures while reducing energy consumption — all while stimulating job growth and our economy. 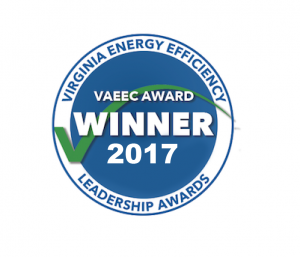 The ACEEE report together with these Awards follow on the heels of VAEEC’s recent report which highlighted energy efficiency as a $1.5B industry in Virginia, supporting 75K jobs. The winners represent innovative, results-oriented approaches that are saving homeowners, renters, schools, local and state governments — indeed, every one of us as taxpayers — millions every year: From instituting an Energy Management Office for a school district to retrofitting state buildings that house the Governor’s Office and Supreme Court of Virginia to energy performance contracting for a hospital to a certified LEED Gold convention center to weatherization that could save low-income families hundreds of dollars annually. The awards were presented by members of the Selection Committee along with VAEEC Board Vice Chair, David Koogler and Harnish. 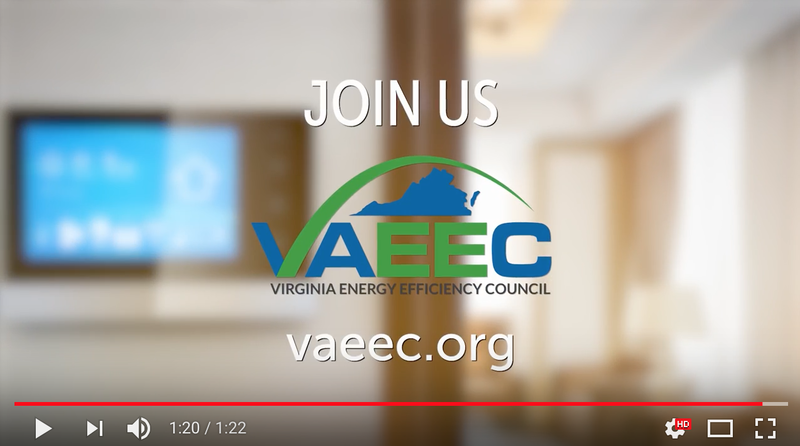 Those in attendance were also treated to the screening of a new series of short videos highlighting VAEEC’s four focus areas: Building Codes, Energy Performance Contracting, Property Assessed Clean Energy (PACE) Financing, and Utility Energy Efficiency Programs. Earlier in the day, attendees at VAEEC’s Fall Meeting were treated to sessions on a range of topics from smart home technologies to benchmarking to utility programs. Panelists on the closing panel, Hayes Framme, Deputy Secretary of the Commerce and Trade, and Bob Matthias, Assistant to the City Manager in Virginia Beach, addressed the question, “What’s next for EE in Virginia?” as the Commonwealth prepares for a new Governor and new members of the House of Delegates. Created in 2013, the Energy Management Office (EMO) plans and manages School Division energy use and sustainability, improves environmental and fiscal stewardship in facility use, and educates staff and students in energy and environmentally conscious design. Foundations of Energy Conservation was the inaugural project, focused on: maintaining the comfort and safety of teachers, students, and employees; saving utility dollars to reinvest in school board priorities and energy infrastructure improvements; and fostering a culture of sustainability and conservation. 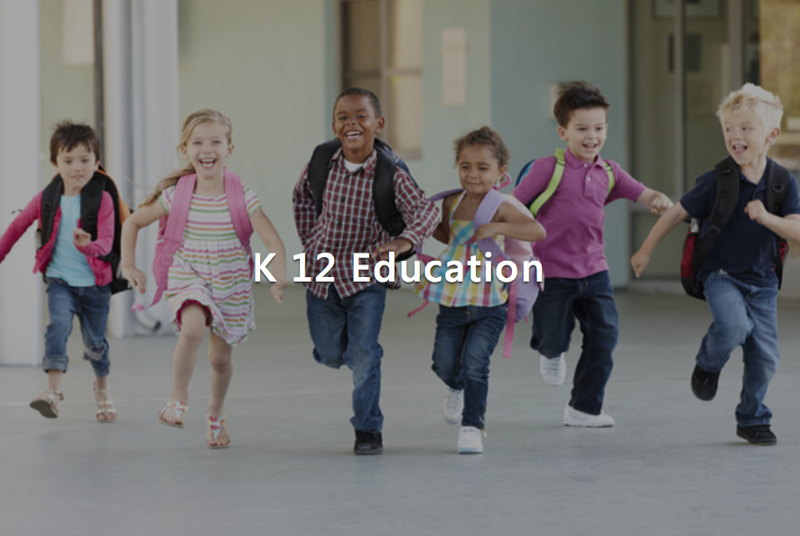 The education of faculty and staff in all the county’s K12 schools was the key to the Foundation phase’s success. Under the guidance of the Administrative Coordinator, three Energy Education Coordinators worked closely with the teachers and staff at all the county’s schools to help them understand their school’s energy performance, why it was performing that way, and what actions they could personally take to make their school a better performer. 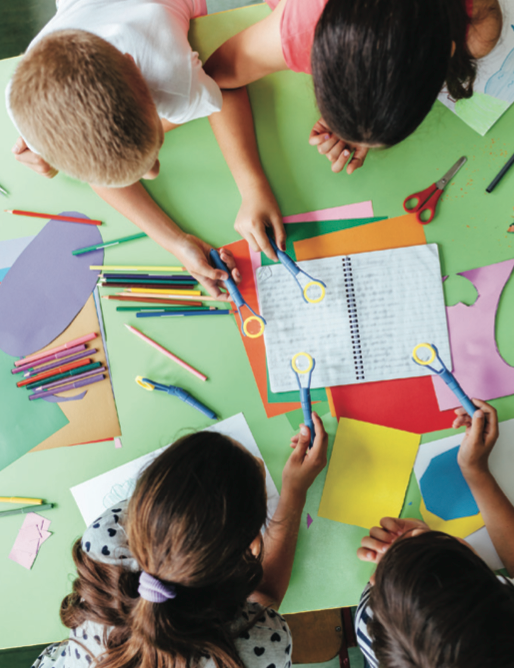 Because the EMO tracked energy performance and associated reductions in energy bills at each school, cash rebates were made available to schools with significant performance improvements. 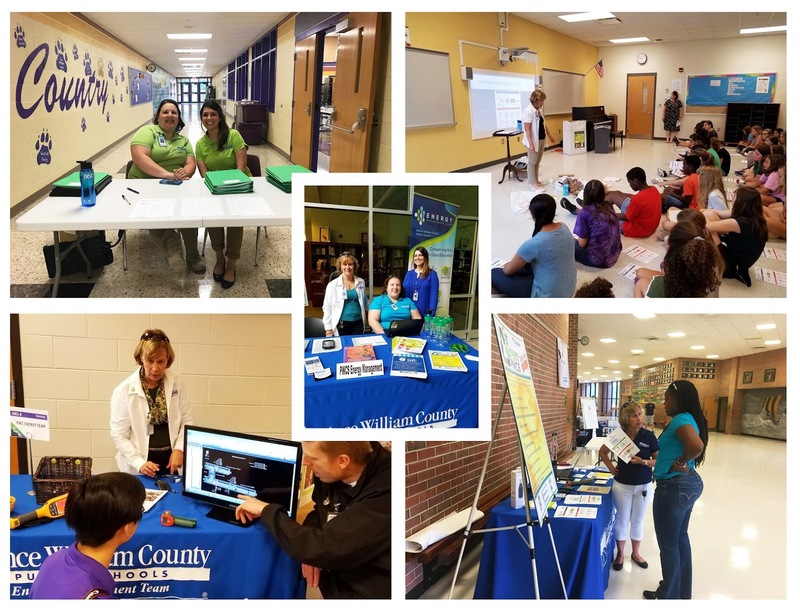 Over the first five years of the program, Prince William County Schools distributed $1,800 of rebates back to 95 schools, cut their utility consumption by 20%, and saved $24.4M and 191M kWh of electricity. Perhaps more impressive, the EMO has witnessed the indirect benefit of teachers working what they learned into the academic lessons they teach in the classroom. The Foundations program has matured and the EMO is ready to move into the next phase of energy management, which will focus on student education and behavior modification related to energy conservation. St. Catherine’s embarked on a Comprehensive Energy Conservation Plan (CECP) six years ago to determine the most effective approach to affect quantum leap and sustainable energy conservation measures. The result has been the execution of a central heating plant decentralization strategy from inefficient legacy boilers (45% efficiency) to distributed highly efficient energy internet controllable and monitored gas fired boilers rated at 98% efficiency, LED lights throughout campus, the installation of 110 touchless water saving automatic faucets, the implementation of three solar arrays (600 panels – 150 kWh), a Compressed Natural Gas (CNG) fueling station and the purchase of CNG vehicles. Additionally, the school is currently implementing an internet based system to provide a dashboard for energy monitoring of individual buildings. 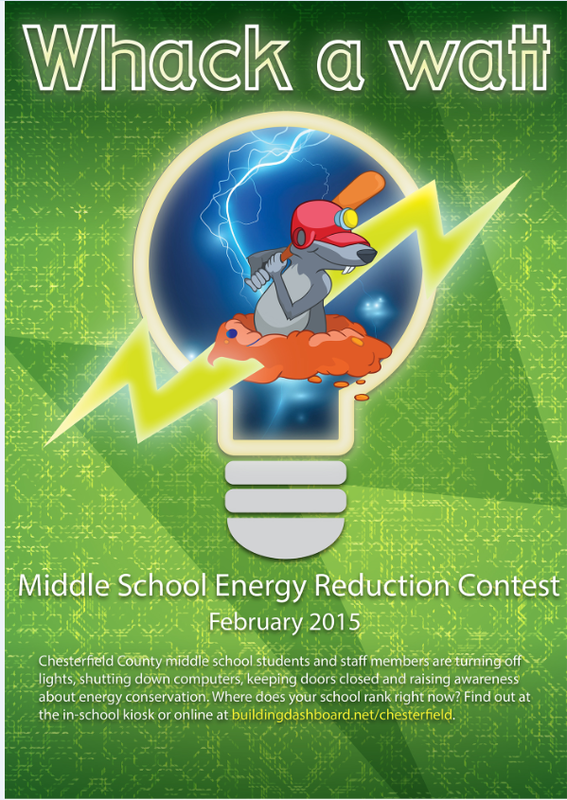 Since implementation, St. Catherine’s School has seen $122,472 in energy savings. 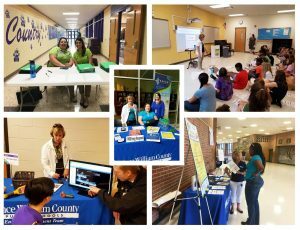 In 2014, Fairfax County Public Schools (FCPS) partnered with Cenergistic to provide energy management, conservation, and educational services division wide. FCPS then assigned a team of energy specialists, engineers and other experts to analyze each aspect of the operations and infrastructure. FCPS’ goal is to ensure that every piece of equipment, and every system, is optimized for effectiveness and efficiency. All energy savings are tracked through a process of Measurement & Verification using a third-party accounting software, EnergyCAP®, which processes additional factors affecting energy use, such as changes in weather patterns, buildings renovations and new construction, student enrollment capacity changes, equipment or use changes and differences in billing cycles. Since the inception of the energy conservation program, FCPS has seen more than $16M in cost avoidance savings and more than a 20% quantifiable reduction in utility use division-wide. The savings generated through the program allow FCPS to set an example for students and the community by investing one-third of every project dollar into increasing energy efficiency and sustainability efforts. Schneider Electric is implementing a variety of energy conservation measures, including the installation of more than 17,000 high efficiency LED lighting fixtures and more than 500 low-flow plumbing fixtures. 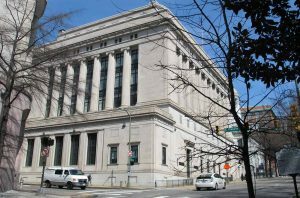 The project will impact office, laboratory and warehouse buildings in Richmond, as well as key Department of General Services buildings including the historic Patrick Henry Building, which currently serves as the Governor’s office, and the Supreme Court of Virginia. The older, historic buildings will be retrofitted so they can benefit from modern efficiency measures, while still maintaining their architectural appeal and historic integrity. The project includes six buildings and will result in annual energy and operational savings of $245,000, or $4.1M over the life of the project. Sentara Williamsburg Regional Medical Center (SWRMC), a Certified Primary Stroke Center, has 145 licensed beds and features the latest healthcare technologies. In 2014, the hospital partnered with Damuth Trane, a Professional Energy Services company headquartered in Chesapeake, VA, to perform a building energy tune-up that optimized operation of existing facility systems. Advanced building data collection methods, energy analytics, utility bill analysis and a detailed engineering review uncovered substantial efficiency improvement opportunities. Damuth Trane collaborated with SWRMC staff to implement energy conservation measures to building HVAC and control systems. The project was justified and funded through utility cost avoidance in the operational budget. In 2016, SWRMC documented a 24% reduction in annual building energy consumption, equating to $647,267 in total avoided utility costs, making the project cash-flow positive within the first year. Continuous data collection, automated analytics, web based reporting tools and remote monitoring were instituted to sustain the efficiency gains. This program is repeatable at similar healthcare facilities. Brighter Communities improved existing functions designed to encourage renewable energy technologies, projects and initiatives through implementing a five-phase plan. Phase One saved significant energy in Fauquier County Government and Fauquier County Public Schools. Phase Two used five websites to document aspects of energy conservation and to display key results, recognize participants / volunteers, and educate viewers with innovative “storyboards”. Additionally, the websites capture energy money savings, carbon footprints, kWh usage, and best practice tips for energy conservation programs, processes and metrics. 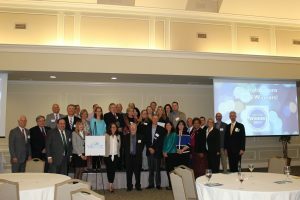 Phase Three publicly recognized 45 local entities at three events for their energy conservation efforts and a new initiative called the Energy Research – Learning Institute. Phase Four increased local business visibility through a new website that increased community support for their products and services. Phase Five will create new energy conservation software linked to a new website, which will combine the other four repositories into one, easy to navigate site (to be released winter 2017). Buildings are already beginning to see energy savings. For example, the Chestnut Forks Tennis and Fitness Club saved over $3,000 in a 90-day period due to energy conservation efforts, timely usage measurements, and a team approach. Major players in all of these projects and initiatives include Airlie Foundation, Barrel Oak Winery, Brookside Developments, Chestnut Forks Tennis and Fitness Club, Fauquier Livestock Exchange, Pearmund Cellars, Old Bust Head Brewery, Poplar Springs, Red Truck Bakery, SiteWhirks Software Development, and Vint Hill Craft Winery. To be good stewards of the public trust and responsible protectors of the environment, Chesterfield County supports a comprehensive energy management program. The main goal of the program is to reduce energy use while maintaining occupant comfort and productive working environments. In addition to an Energy Management Administrator, instrumental to the program’s success has been procurement of energy management software to monitor cost and use and measure program results. Initiatives include building use reduction management, large scale lighting retrofits, energy audits of all facilities, rate analysis, energy star submissions, demand response, water use reduction, commissioning, and outreach. Pilot projects include a spray foam insulated unvented roof deck, Nature Neutral Alpen energy-efficient windows, and bi-polar ionization. Education and outreach includes placement of interactive, real-time utility monitoring touch screen kiosks in their 13 middle schools, which allows students to view school energy use in real-time. Chesterfield has also purchased energy auditing and monitoring equipment, and educational materials that can be checked out by teachers and is investigating availability to residents through the library system. Chesterfield’s energy and building guidelines include LEED certified goals, temperature set points, and energy-efficient behavior expectations and recommendations for employees. A recent LEED certified facility boasts light tubes, large rainwater collection underground cistern, pervious pavement, and an energy model of 24.8% less energy. Savings and impacts of the program are far reaching, varied, and significant. Over the past five years, the County has seen a cumulative annual savings of more than $1.3M. Certified by the U.S. Green Building Council in 2010 and 2015, the LEED® Gold Virginia Beach Convention Center (VBCC) has been committed to energy-efficient operations since opening in 2007. As one of Virginia Beach’s largest buildings, VBCC uses an average of 604,000 kilowatt hours of electricity per month. Most recently, VBCC upgraded the lighting in the exhibit hall from metal halide to energy-efficient LEDs and implemented an automated electricity demand response program as part of VBCC’s heating, cooling, air conditioning and ventilation (HVAC) building controls. The demand response program is designed to limit the building’s peak power supply demand, which in turn lowers the demand placed on the regional power grid. The program helps VBCC conserve electricity and save money by expanding the temperature set points within the various spaces in the building. Electrical switchgear integration into the building control software provided instantaneous kilowatt usage data. The HVAC controls monitor peak kilowatt usage in real time. At predetermined thresholds, the system automatically adjusts room temperatures by one to three degrees, effectively placing less demand on VBCC’s equipment and using less electricity. Upgrading the lighting and the automated demand response program has reduced the power supply peak demand by 15%, from 2,196 kilowatts to 1863 kilowatts, and saved $20,870 in electricity costs. Fauquier County Government (FCG) devised a 100-hour “volunteer” project to review building utility expenses. This led to the approval of 500 hours of a more in-depth benchmarking program for FCG buildings. Pressure to reduce energy expenses with minimal funding forced innovation and original thinking to revise processes and metrics. Once building data was benchmarked, FCG began implementing measures to reduce energy use. These included: control changes for non-work hours; timely control system changes to avoid electric utility peak demand charges; and temperature control modifications on holidays. In three years, FCG saved $220,617 in building energy costs. In addition to original average annual costs of about $800K, this represented a savings of approximately 9%. 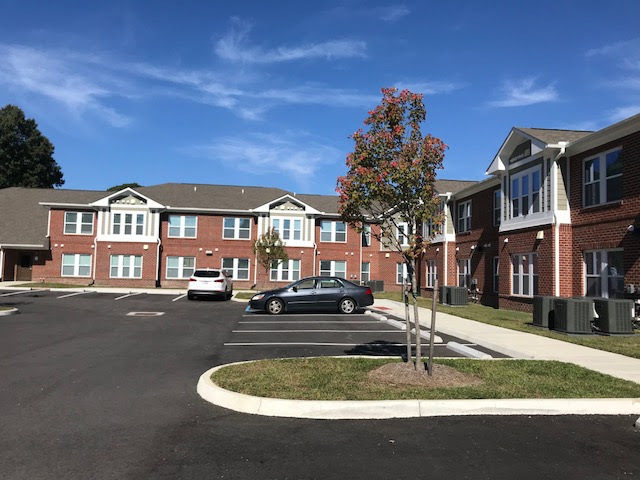 Sun Valley and The Landings are income-qualifying properties located on the outskirts of Radford, VA. Community Housing Partners (CHP) recently acquired the nearly identical properties consisting of 21 duplexes totaling 42 residences. All units use electric-resistance baseboard heating as their primary heat source and window A/C units for cooling. In mid-2017, at the request of Virginia’s Department of Housing and Community Development (DHCD) to explore opportunities for applying federally-funded Weatherization Assistance Program toward more multi-family properties in Virginia, CHP pooled together resources to conduct a deep-energy retrofit on the properties. Coinciding with Weatherization Assistance Program funds, additional funds were leveraged from the Low Income Home Energy Assistance Program (LIHEAP), Appalachian Power Company’s (APCo) Low-Income Weatherization Program, CHP Energy Solutions Emergency Home and Accessibility Repair Program, as well as an owner-contribution from CHP. The scope of work developed would impact nearly all building systems and components: LED lighting, low-flow fixtures, water heater tank and hot water pipe insulation, making the building envelope more airtight, installing floor and attic insulation, and replacing the baseboard heating with a 16 SEER heat pump and air-sealed duct work. Saving estimates produced by the Department of Energy’s National Energy Audit Tool (NEAT) project an average 73% annual heating load reduction for each unit. Based on these projections, annual utility bills savings could amount to nearly $850 per household. Behind the scenes, administrators and managers balanced the needs and requirements of all stakeholders involved in the project, including property maintenance and management staff, residents, DHCD, APCo, multiple subcontractors, and several stakeholders within the different departments of CHP. The experience learned from Sun Valley and The Landings will be applied to streamline future projects leveraging multiple funding sources. Windy Hill Foundation built 12 all-electric workforce housing units in The Plains, Virginia, which were certified EarthCraft. The housing units included two- and three-bedroom floor plans with identical layouts. Key building attributes included geothermal heating / cooling, high R-value insulation, metal roofs, geothermal water heaters, energy efficient windows / doors, and natural water retention / marsh areas on the property. Energy Efficiency training was provided to residents and utility energy data was collected for 18 months. Energy usage was reduced in most units by 8% with some as high as 22%, indicating that occupant awareness, habits, and knowledge combined with timely results are essential to reducing energy usage. The EnergizeRVA program improves the home energy performance for low-moderate income homeowners and renters, whose family budgets are most burdened by high energy costs, but who do not qualify for other programs. 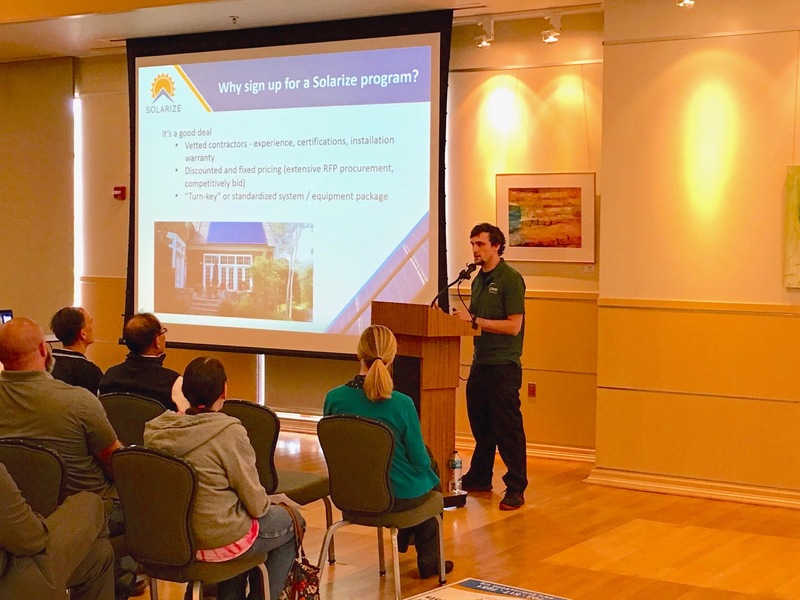 EnergizeRVA trains volunteers and program recipients to install energy savings measures and provides them with information they can use for future improvements. Forty homes participated in the pilot program’s first year, and the program was able to reach it’s goal of achieving an average of 10% energy savings for the entire portfolio. All of the installed efficiency measures have a return on investment of six months to three years and clients can expect to save on average $150 per year on their utility bills. 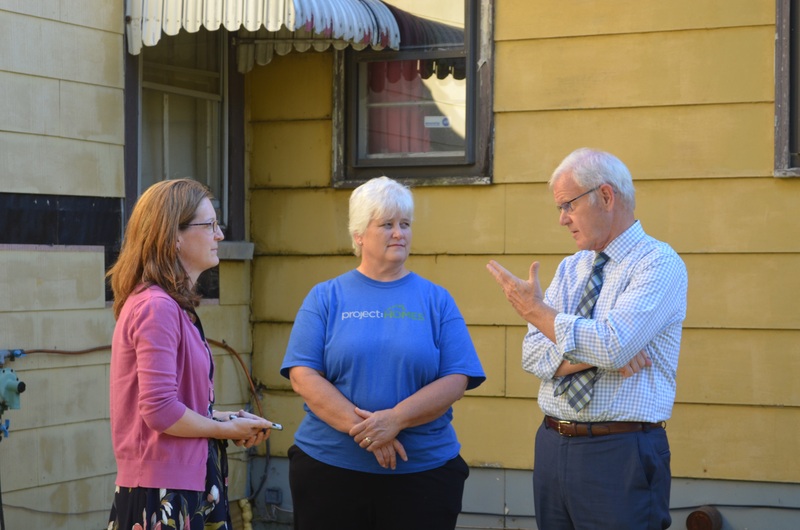 The lessons learned from this pilot program will be carried forward in future efforts to educate homeowners and help them improve their home’s energy efficiency and comfort, while saving money on utilities. Solarize NoVA is a campaign coordinated with the Local Energy Alliance Program that links home energy efficiency with solar photovoltaic. Since its inception in 2014, more than 4,000 residents and businesses in Northern Virginia have signed up for the program. To date, the program has resulted in: 630 home energy checkups, resulting in 453,600 kWh saved; 15 completed multi-family apartment weatherization projects, resulting in 262,955 kWh saved; as well as 176 contracts for more than 1.3 MW of new solar installed with a contract value of more than $4.2M. All totaled, the efficiency measures and solar installations replace 2.5M kWh of electricity that does not have to be generated by a power plant. The dollar value of the energy saved or produced is $277,003 on an annual basis. 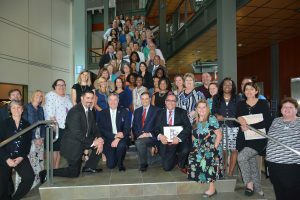 The program has brought together the various local government jurisdictions through the Northern Virginia region to share this important program with residents and serves as a model in the Commonwealth on how government, the not-for-profit sector and the private sector can work together to achieve these results. Weatherize Roanoke is a “One Stop Shop” for free, affordable energy efficiency services for homes in the City of Roanoke. Ultimately, the service area was expanded to include the greater Roanoke Valley. The city convened public and private partners as stakeholders to aggregate available services into one program. Providing affordable energy efficiency to middle-income consumers is a longstanding ‘wicked problem’ since most existing building stock is decades old. Creating a public-private strategy bridges these gaps, and Weatherize Roanoke used energy efficiency as a catalyst. 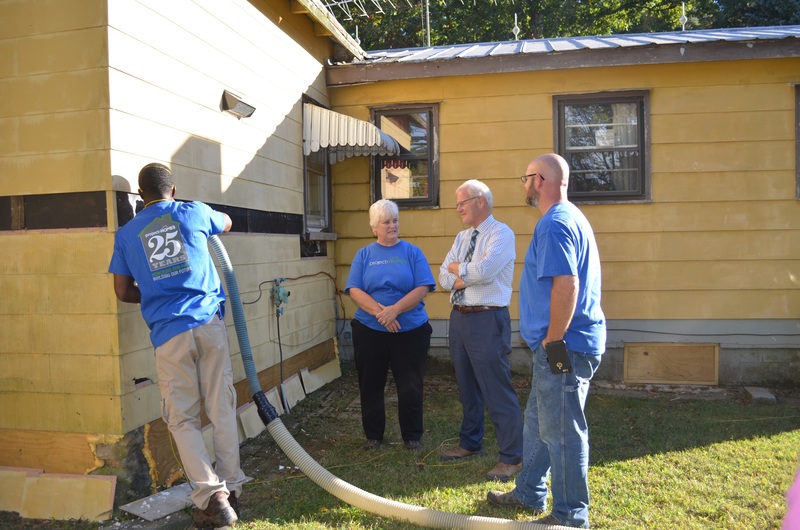 Partnering with Better Building Works helped transform the traditional weatherization program. Their ‘building-as-a-system’ process made energy efficiency a catalyst for water use reduction, indoor air quality and public education. Neighborhood meetings showcased the Weatherize Roanoke website and registration for a free Energy Review. Homeowners received LED light bulbs, water heater blankets, water pipe insulation, low-flow showerheads and customized recommendations for home performance. On average, homeowners saved $78, 583 electric kWh, and 381 natural gas Therms a year. The City saw a 128% return on investment (in dollars to the local economy) at year one. This project demonstrates how communities can broaden utility-sponsored programs through diversifying stakeholders beyond the traditional low-income focus. This 1924 Museum District rowhouse underwent a top-to-bottom renovation, enhancing and preserving its historic features while improving both functionality and energy efficiency for a new century of family life. Improvements included the conversion of a dark, damp basement and an unconditioned sun porch into fully-finished and conditioned spaces, adding 800 square feet of living space within the home’s original footprint. Elsewhere, interior partition walls were removed, an original skylight was restored and insulated glass doors were added on each floor to bring natural light into the home and decrease the need for daytime artificial lighting. Energy Star appliances and new light fixtures were installed throughout and a new HVAC system was added for a whole-house upgrade in energy efficiency. After completion of the renovation, the Energy Score was improved from 40,000 kWh per year to 17,000 kWh. This project illustrates the value of pairing aesthetic improvements with energy-saving upgrades, and integrating comfort and sustainability into a thoughtful renovation. The VirginiaSAVES Green Communities Program was enabled by Governor McAuliffe in 2015 by Executive Order 36. The program was developed to utilize Virginia’s full allocation of Qualified Energy Conservation Bonds (QECBs) issued by the US Treasury. It has done so, by providing subsidized low-cost financing to school districts, commercial, industrial, non-profit, institutional and local government borrowers without adding debt to the Commonwealth. The Virginia Department of Mines, Minerals, and Energy (DMME) developed the program in partnership with program administrator CleanSource Capital, and conduit bond issuers Virginia Small Business Financing Authority and Virginia Resources Authority. 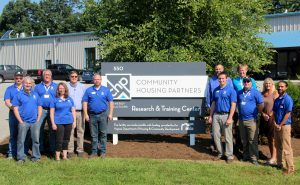 Virginia Community Capital leads outreach and marketing efforts to connect project developers and clients with the program opportunity. Private sector lenders and energy services contractors are also vital partners. To date, VirginiaSAVES has closed loans for 12 large energy performance contracts, across the Commonwealth. Clients include private businesses, local governments and educational facilities and projects encompass over 130 buildings with nearly six million square feet of conditioned space. Building retrofits financed through the program have guaranteed energy cost savings of $63.9 million over the life of the projects, which will help these organizations enhance their financial stability by reducing operating costs, improving cash flow, and freeing up resources for other investments that will benefit their communities. Annual greenhouse gas emissions from these projects will be reduced by over 16,000 metric tons. The projects will also create 755 jobs, with priority given to utilizing local contractors to perform the work, creating a “ripple effect” in local communities. The success of VirginiaSAVES also positions Virginia well for potential future allocations of QECBs, and may open up new opportunities for bond financing of energy efficiency projects using other sources. In 2014, the Blue Ridge Regional Jail Authority (BRRJA) entered into a guaranteed energy savings contract with Honeywell. The $3.9M project has a 15-year savings guarantee and was designed to create energy efficiency and taxpayer savings among all five of the BRRJA jail facilities in Central and Southside Virginia, while creating a full project payback timeframe of eleven years and nine months. BRRJA will continue to reap this financial reward well into the future. Years of fiscal responsibility by the Authority’s Board of Directors afforded Blue Ridge the opportunity to pay for the project out of reserve money. Financing the project would have meant lost opportunities to include more Energy Conservation Measures in the project. BRRJA chose to maximize its energy savings potential by avoiding loan interest. Almost half of the overall project cost was devoted to lighting and water retrofit upgrades. Communicating water conservation systems were installed in the Lynchburg and Halifax jails. BRRJA is pleased to include that the Amherst jail is LEED Silver certified! Guaranteed energy and operations savings from Honeywell totaled $334,568 in year one and is projected to increase by 2.5% annually for the 15-year life of said guarantee. Completing the energy savings project aided the BRRJA in fulfilling its overall mission of supporting the criminal justice system by operating its centers in a manner that produces a safe and secure environment for the public, staff, and inmates. The Department of Corrections’ (DOC) Greensville Correctional Center is Virginia’s largest prison, housing approximately 3,000 inmates. Efficiency improvements at the boiler plant will save $231,410 the first year. The project will also install LED lighting to replace existing yard lights, leading to $48,261 in savings the first year. DOC plans to re-invest that savings in electrical system replacements that are crucial to prison’s operation, but which could not be funded by capital. One of the challenges we face in the energy efficiency industry is that it’s largely invisible. As we like to say, lying in your bed you don’t necessarily know the insulation level in your attic. Walking around your neighborhood you might miss the houses built above code. Eating at your favorite restaurant you wouldn’t know that they just did a lighting retrofit. Sitting at your desk you might not have heard that the building recently installed a high efficiency heating and cooling system. Nor would you know that all of those things were enabled by a policy or program: a rebate on an energy efficiency appliance, utility financial support for weatherizing homes, a program to engage commercial property owners, legislation that enabled regulations, or the state building code. So we produced a new video series to help SHOW energy efficiency in action. The first series of short videos focuses on four key policies that we also highlighted in our 2017 “Why Energy Efficiency is a Smart Investment” report: Building Codes, Energy Performance Contracting, Property Assessed Clean Energy (PACE) financing and Utility Programs. We hope you’ll watch and share with your colleagues. We look forward to showing them to members, prospective members, and decision-makers as we work to expand awareness and uptake of energy efficiency in Virginia. Thank you to all of the people, companies and organizations that participated in the videos — both those who you’ll see on the screen, and those that provided us photos and video footage: Community Housing Partners, Local Energy Alliance Program, Southland and Trane. The videos were produced by Odyssey Productions. Funding was provided by VAEEC member E4TheFuture. 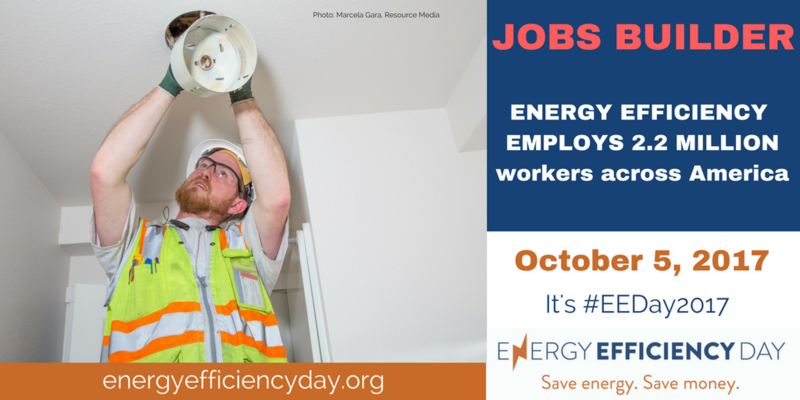 National Energy Efficiency Day (October 5th, 2017), is an opportunity to shine a spotlight on the local, state and federal policies that support energy efficiency and the people — through jobs, economic growth and energy/cost savings — supported by energy efficiency. 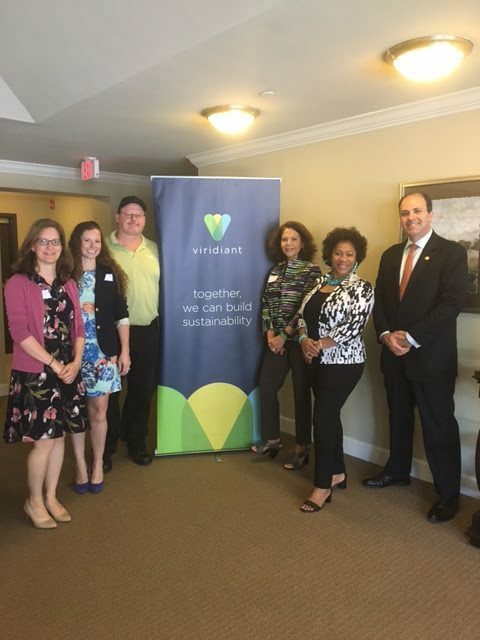 To honor this important day, VAEEC partnered with two of our members, Virdiant and Project:HOMES, to host site visits for two legislators: Del. Yancey in Newport News and Del. Ware in Goochland County. Both sit on the Commerce and Labor Committee, which reviews all energy legislation during the General Assembly sessions. The site visits offered the state legislators the opportunity to see what energy efficiency looks like in action, in their very own districts and to learn how the policies they implement (or not) directly impact their constituents. Our day got off to a great start when Governor McAuliffe officially proclaimed 10/5/17 as Energy Efficiency Day in Virginia. We hit the ground running from there. First, Del. Yancey toured an independent senior living facility, which was recently built to above-code standards and received the Earthcraft Certification through Viridiant. Del. Yancey learned about the green features of the facility, what it means to earn an Earthcraft certification and the increased comfort residents feel in their new homes. The property managers and residents were on hand to tell their personal stories, including one resident who said her electric bill is about $50 per month for her 1100 square foot, two-bedroom apartment! The primary goals of the developers of this facility were to reduce energy consumption and improve indoor air quality and safety for residents. Some of the funding for this facility came through the Low Income Housing Tax Credit Program. Read more about the 801 Main project here. Later in the day, Del. 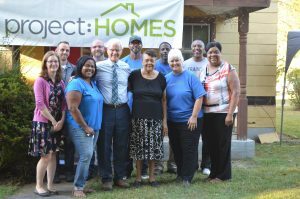 Ware joined us at a single-family home that was in the midst of receiving much-needed weatherization upgrades. The Project:HOMES crew gave a tour of the home to discuss all of the upgrades being made including: new lighting; new heating and cooling; air sealing; adding insulation; and various health and safety measures. The crew also displayed blower door testing equipment and demonstrated how to add insulation to existing structures by blowing cellulose insulation in between studs. The elderly homeowner, who has been in the home since it was built in 1940 was present, as well as her three living adult children, to discuss the home’s history and the issues that forced them to reach out for help. In the past, the electric bills for this 1035 square foot, one-level home, would run about $200 per month during the summer. 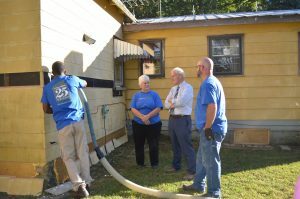 The upgrades made to this home will substantially reduce those costs next year and were made available through the Department of Housing and Community Development’s Weatherization Program and Dominion Energy’s Energy Share Program. At the end of both tours, each legislator heard from VAEEC’s staff about the role they, and other VA decision-makers, play in continuing these programs. When legislators make vital decisions regarding energy efficiency in Virginia, we want them to remember the folks on the ground who are implementing these programs every day. In VAEEC’s most recent report on Energy Efficiency being a smart investment for Virginia, we found that energy efficiency is $1.5B industry in Virginia that supports 75,000 jobs. The report’s five policy recommendations chart a course for improving that ranking and for more successes. We are already starting to see results from our work. 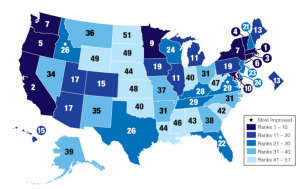 Last week, the American Council for an Energy Efficient Economy (ACEEE) released their annual State Energy Efficiency Scorecard. Virginia was tied for 29th place and was noted as a “Most Improved State” along with Florida and Idaho. The accolade underscores the hard work of VAEEC and our members in recent years on projects like those toured last week; it also reminds us that there is plenty of room for improvement. Telling our members’ stories helps our industry succeed as a whole and we will continue to tell those stories to push for more policies and programs that help support this incredibly diverse yet important sector to Virginia’s economy. Hope your #EEDay2017 was as productive, inspiring and motivating as ours! Give yourselves a pat on the back for Virginia earning the title of “Most Improved” in ACEEE’s 2017 State Energy Efficiency Scorecard. Tied for 29th place means there is still plenty of room for advancement, but what we’re doing is working! 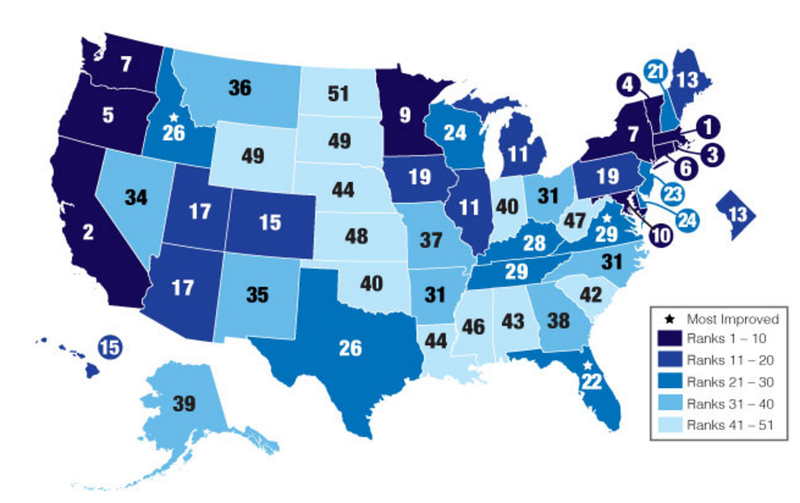 The Commonwealth joined Florida and Idaho in receiving the “Most Improved” honor, which underscores the work VAEEC members and our partners have done to advance smart energy efficiency policies and initiatives while also calling out some specific steps we could take to break into the top 25. We moved up from 33rd place in last year’s ranking (which we wrote about here) and scored 15.5 points out of a possible 50, so maybe keep the corks in the champagne bottles for now. VAEEC was pleased to see several of our policy recommendations from our recent “Why Energy Efficiency is a Smart Investment for Virginia” census report — like stronger utility programs and continued energy performance contracting — were called out in the Scorecard. However the state has significant room to strengthen efficiency programs and policies in the utility sector. To guarantee energy and cost savings for businesses and residents, the state could make its 10% electricity savings target mandatory and offer performance incentives to utilities achieving higher levels of electricity and natural gas savings. Virginia could also work to streamline the process by which utilities evaluate, measure, and verify energy savings which may help utilities to develop efficiency programs with more comprehensive measures. To keep costs low for all Virginia consumers, utilities could design programs that better meet the needs of large customers. 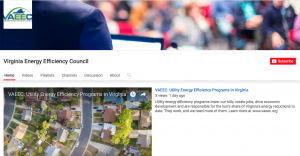 In addition, the one example ACEEE cited on the Virginia scoresheet was Columbia Gas winning one of VAEEC’s Virginia Energy Efficiency Leadership Awards for their WarmWise online home energy audit. Bottom line is that we’re making progress, but we need more investments in and support for the programs and policies that bring that type of robust energy savings. VAEEC laid out 5 specific, tangible, realizable policy priorities in our recent census report that we believe would help Virginia bust into ACEEE’s top 25 and keep rising. Download the report or check out the Virginia scoresheet. When we released out latest Virginia Energy Efficiency Industry Census report this spring, we found that revenue generated from the energy efficiency sector has grown from nearly $300 million in 2013 to $1.5 billion in 2016. And we noted U.S. Department of Energy stats that the industry is responsible for 75,000 jobs across the state. Indeed, it is a huge part of the new Virginia economy. But it raises an important question. 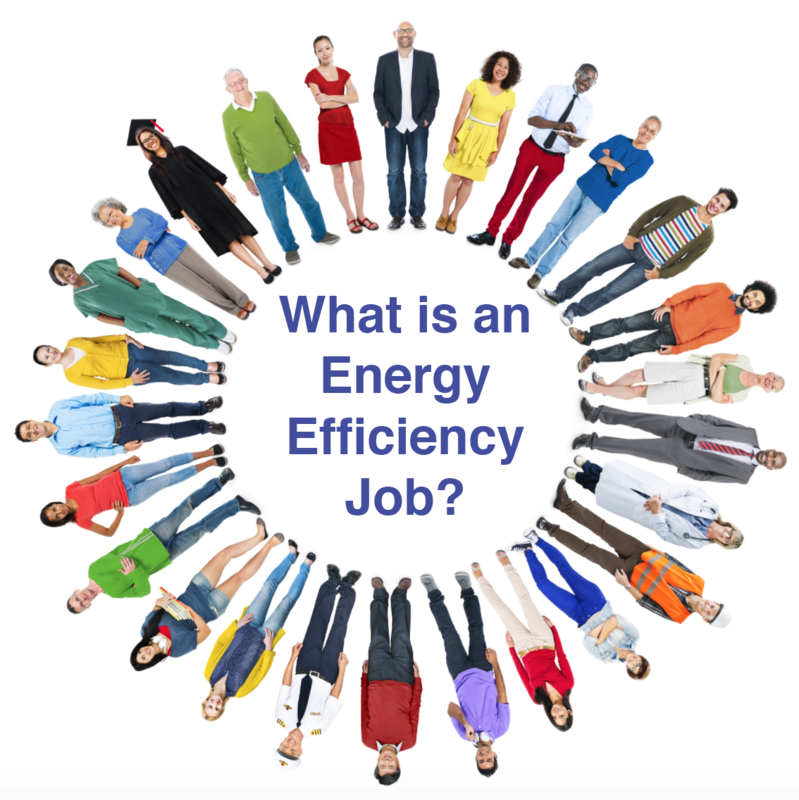 Just what kind of jobs count as “energy efficiency jobs”? From architects and contractors designing, building, and renovating more efficient buildings, energy auditors testing a building’s performance, HVAC contractors installing high-performance systems, to energy managers for cities and counties trying to find ways to save their residents money, and weatherization providers helping low-income residents save money on their own energy bills, and to those working to shape public policy or develop software to monitor energy use, the list goes on. At the county or city level of government, this position is in charge of ensuring that a local government is meeting its goals for sustainability and energy use. Efficient use of energy is the first step in becoming environmentally friendly, and as local governments work towards their goals of sustainability, energy efficiency is a high priority. Monitoring energy use, educating employees on their usage, as well as ensuring government-owned buildings meet efficient standards are all a part of a Sustainability Director’s job. As if being tasked to track and monitor government energy usage isn’t a handful already, here’s just taste of the laundry list of responsibilities a sustainability director undertakes: coordinate city or county wide strategies that promote sustainable and green practices; identify methods and policies (typically through benchmarking); work with community groups to integrate green design into their projects; increase the use of energy efficient products and engineering; develop and implement the systems to track and monitor efforts across City departments; serve as an outreach coordinator to build strong relationships with partner organizations and field experts; and develop education materials for contractors and homeowners. The list goes on in this vital job to successfully implement energy efficiency policies at the local level. Note that the exact job title varies. The person responsible for overseeing this work might, using VAEEC member City of Charlottesville as an example, be the City’s Environmental Administrator or up in Arlington they have an Energy Manager. An energy service company or ESCO provides a broad range of energy solutions including the design and implementation of energy savings projects, retrofitting, energy conservation, energy infrastructure outsourcing, power generation and energy supply, and risk management. VAEEC members like Johnson Controls, Siemens, Southland and Trane have helped entities like grammar schools, universities and state government facilities like the Department of Motor Vehicles and Department of Corrections to upgrade their facilities and save taxpayer money. Expanding the performance-based contracting that ESCOs offer was one of VAEEC’s five policy recommendations in our recent “Why Energy Efficiency is a Smart Investment for Virginia” report. As we live in a world increasingly connected through the internet and our devices, our energy use corresponds to our increasing reliance on technology. In turn, our energy use can be monitored through the internet and innovative software. Customer engagement and interactive applications allow energy consumers to monitor their energy usage from any device. The concept is simple: if you know how much you’re using then you know where to cut back. However, the monitoring required to provide customers with this information and the comparisons of what’s “good usage” vs “bad usage” are complex. VAEEC member Oracle is one company that provides this information in an easy to use format. Taking the best of their paper Home Energy Reports, they format is to fit an easy to use and easy to engage system that emails customers directly about their energy usage. Customers using Oracle’s services can save up to 3% annually from this kind of direct engagement and awareness of their energy usage. Not only that but the Cloud services that Oracle provides allows people to store energy data, track it and compare it from a massive database of energy information. Weatherization projects allow homes to better withstand the elements, keeping interiors cool in the summer and warm in the winter. Instead of relying heavily on heating and cooling systems which expend energy, weatherization offers a more permanent solution through durable projects such as double paned windows, and insulating walls and attics. Homes are often neglected when it comes to weatherization, and this is especially true of low income families who have to prioritize their budgets. Low-income families often wind up spending a large portion of their monthly income on energy bills, and while weatherization alleviate energy costs the upfront expense can be daunting. Project:Homes, a VAEEC member, offers services such as air sealing, insulation, LED lightbulbs and water savers to help low-income families make their homes more efficient. This not only increases property value, but makes the homes more comfortable to live in and saves homeowners and renters money on energy bills. Other Project:Homes initiatives such as “Keep It Cool RVA!” have helped provide window units and AC to those in need during the hottest months. These are just some of the wide ranging jobs — white and blue collar — within the field of energy efficiency, each playing an important role in changing the landscape of how we think about and use energy. This Thursday is National Energy Efficiency Day #EEDay2017, a great time to recognize and celebrate everyone working in the energy efficiency field — and all of the jobs we sustain here in Virginia and nationwide. The U.S. Department of Energy (DOE) has been conducting field studies in select states around the country to determine the level of compliance with energy codes in the field. 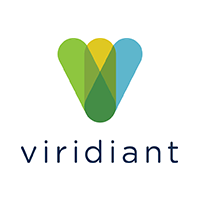 Recently, Viridiant, a VAEEC member, was awarded funding by the Southeast Energy Efficiency Alliance (SEEA) to conduct the study in Virginia. This project will look at how well a random sample of builders in 29 jurisdictions around the Commonwealth are implementing different energy related measures of the building code. The success of this project will largely rest on the cooperation of builders and building code officials. Help spread the word that this study will be underway through the end of 2017, with data collectors visiting over 100 homes that are under construction or recently completed! Johnson Controls is a big name in energy efficiency and sustainabillity – with more than 120,000 employees serving a range of customers in more than 150 countries. And the company – VAEEC Business Gold member and June’s Featured Member of the Month — is having a big impact across the Commonwealth. The company creates intelligent buildings, efficient energy solutions, integrated infrastructure and next generation transportation systems that work seamlessly together to deliver on the promise of smart cities and communities. At its core, that promise is about delivering innovation that make people’s lives – and the world – better. One area of focus is K-12 schools where Johnson Controls provides the building systems, equipment, technology integration and know-how to create and maintain safe & secure, quality learning environments. Plus they work with clients to identify innovative financing solutions to make these facility improvements with minimum impact on operating budgets. This doesn’t just make financial sense. Students who are comfortable and happy in their physical environments actually have a better chance of doing well in school. In fact, reports show that students in well-maintained facilities score up to 10 percent higher on standardized tests. That was the concern in Luray, Virginia, where the Page County Public Schools struggled to provide comfortable classrooms on hot early and late summer days – particularly in many unconditioned second- and third-floor classrooms. Yet installing a new HVAC system had not be possible financially. At least not as a traditional, stand-alone purchase. 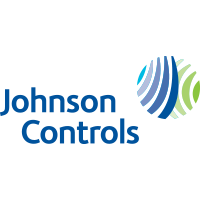 The local Johnson Controls team developed a plan to fund the improvements through an energy savings performance contract. Under the contract, Johnson Controls guaranteed that, by making a series of upgrades to lighting and building controls across the district, Page County Public Schools would generate enough operational and utility savings to pay for upgrades and offset the cost of air conditioning the un-cooled classrooms. In addition to helping Page County Public Schools stretch taxpayer dollars and create more comfortable learning environments, the project itself has created a new learning opportunity. Through a web-based energy dashboard, students, teachers and Luray residents can access real-time information about the energy use and energy savings across the district, and the environmental impact on their community. Richmond, Virginia (May 19, 2017) — Virginia’s economy is stronger thanks to the role of energy efficiency, according to a new report released today by the Virginia Energy Efficiency Council (VAEEC) that finds the industry drives $1.5B in annual revenue and accounts for more than 75,000 jobs. 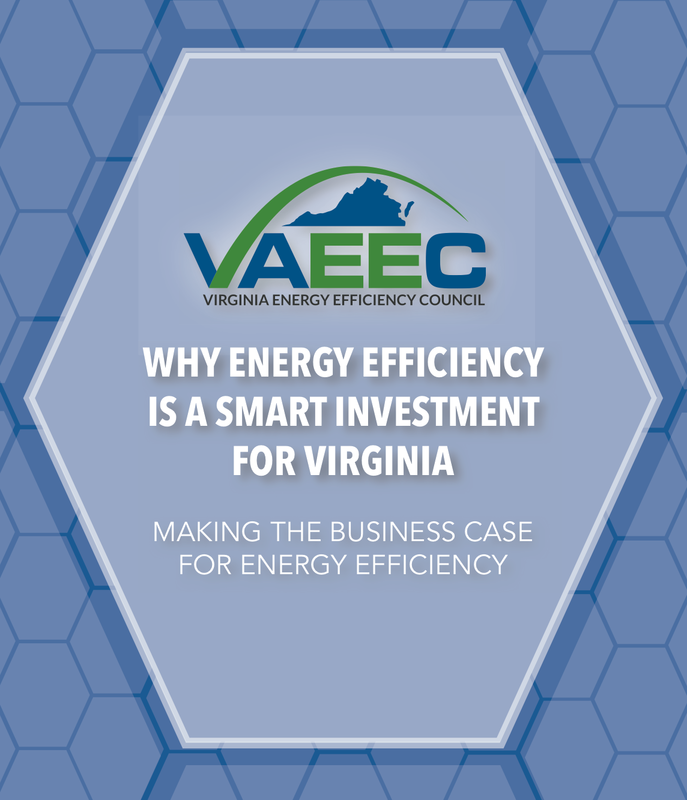 The full report, “Why Energy Efficiency is a Smart Investment for Virginia,” is available at www.vaeec.org/data and was presented at the VAEEC spring meeting in Richmond. The report lays out five specific policy recommendations that will not only help the industry continue to grow but will also play a role in future carbon reduction strategies the Commonwealth may pursue. In 2013, the VAEEC released the first-ever census report documenting the energy efficiency industry in the Commonwealth. Our newest report shows that revenue generated from the energy efficiency sector has grown from nearly $300 million in 2013 to $1.5 billion in 2016. The U.S. Department of Energy has found that the industry is responsible for 75,000 jobs across the state. According to the most recent update to the Virginia Energy Plan, each of these policy recommendations are critical for Virginia to meet our energy efficiency goal of 10% electricity savings by 2022. The final report from the Executive Order 57 Working Group, which was released this week as well, also highlights the the important role energy efficiency can play in reducing carbon pollution. Two of the five recommendations made by the Working Group are specific to the energy efficiency industry: 1) Updating state building codes to reflect current technology and standards and 2) Developing an energy efficiency accounting and registry tool. 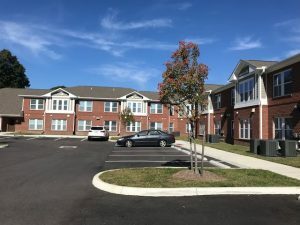 The Virginia Center for Housing Research at Virginia Tech found that multi-family apartments that were built to EarthCraft, above building code, standards saved families $650 a year. This post originally appeared on the Virginia Multifamily Energy Efficiency Coalition website (May 16, 2017) and is reposted here with permission. The Board of the Department of Housing and Community Development held a public hearing on Monday, May 15th to hear public comments on the proposed changes to the statewide building code. A large group gathered before the board, including several MFEEC members, to present their comments on the energy efficiency regulation changes that would bring Virginia’s Building Code up to date with the 2015 International Energy Conservation Code (IECC). Those who convened included home builders, energy efficiency advocates, consumer advocates, energy auditors, and HERS raters. Nearly everyone who convened in support of increased energy efficiency in the building code highlighted the importance of blower door and duct blaster testing, opining that the visual inspection option for duct and building envelope tightness testing should to be done away with. Their message was simple: you cannot, with confidence, visually see an air leak in a building or its duct systems. 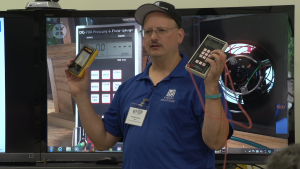 Mike Hogan, of Edge Energy commented that of all the homes that he tests, 60 percent fail the blower door test the first time. According to Katie Henderson of Efficient Homes, ducts tested after drywall has been installed fail by a shocking 96 percent, (when they are first tested after construction is complete). Others made the case that testing to make sure leakage standards are met is not only cost-effective for energy usage, but can also guard against costly repairs sometimes needed a few years into the building’s life that can result from moisture problems caused by duct leakage and condensation in walls. On a simpler level, ducts that fail mechanical testing after drywall has already been installed require a great deal of effort to fix. While highlighting the number of tightness tests that fail on the first time, Benjamin Knopf of Think Little Energy made sure to emphasize to the Board that there are also many builders they work with who routinely achieve building tightness of .5 air changes per hour or less than 1% duct leakage, stressing that these standards are readily achievable with the right training and building practices, a conclusion supported by their handout (05161700) on the results of homes they’ve tested since 2015. Zack Miller testified on behalf of the MFEEC and the Virginia Housing Alliance sharing data from Virginia Tech’s Center for Housing Research that shows that Low Income Housing Tax Credit affordable apartments in Virginia built to the EarthCraft building standard consumed 40 percent less energy than code built construction and saved the average tenant almost $600 a year in utility costs. He also shared the results of a UNC Center for Community Capital Study that found a 32% lower risk for mortgage default in Energy Star homes to stress the benefits of efficient construction to both renters and homeowners. A comment brought forward by Casey Murphy of Pearl Certification, was that leaky ducts inside a home can pull contaminants from the attic into the air system, negatively impacting the overall health and safety of the building’s occupants. Protecting the health, safety and welfare of the Commonwealth’s residents is written into the code as many providing testimony emphasized to the Board members. Dana Wiggins of the Virginia Poverty Law Center, a consumer advocate, said that for low-income households, concerns are always centered around monthly costs for the end-users. For low-income home-owners, or soon to be home-owners, energy costs matter, and consumers need to know if they will be able to afford to maintain the home. High or unpredictable energy costs can put those homeowners at risk for keeping their homes. Chelsea Harnish, Executive Director of the Virginia Energy Efficiency Council spoke in support of the proposal being considered by the energy sub-workgroup that would drop many of the proposed amendments on mandatory blower door testing, R-49 attic insulation and other measures included in the 2015 IECC and instead adopt an optional compliance pathway for builders to comply with the 2018 Energy Rating Index (ERI) if they choose. Under the proposed compromise, all newly built homes regardless of compliance pathway would be required to pass mandatory duck leakage testing at 4% for ducts outside of conditioned space. This testing could be be certified by the HVAC contractor that installed the system. Chelsea noted in her support for this proposal that 2018 ERI pathway sets the maximum allowable score at 62 instead of 54 as prescribed by the 2015 IECC, which would be more flexible and achievable for homebuilders in the state. Mike Toalson representing the Homebuilders Association of Virginia spoke about the importance of the industry on Virginia’s economy and argued that the Board should not adopt code changes that could depress homebuilding while speaking for his support of the ERI compromise proposal. 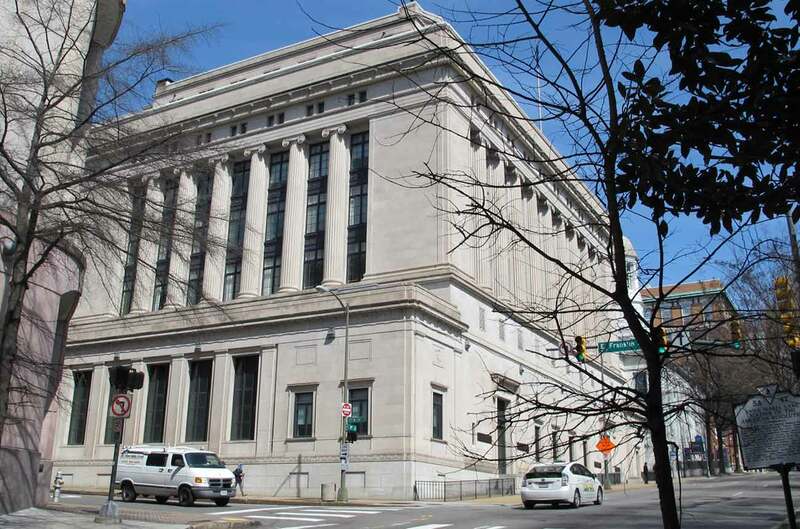 Some efficiency advocates mentioned support for the compromise, while many others who testified urged the board to adopt the 2015 IECC in full, without amendments. A big thanks to our members Chelsea Harnish, Andrew Grigsby, Katie Henderson, Dana Wiggins, and Zack Miller for speaking in favor of increased energy efficiency in Virginia’s uniform state building code! Written public comment will be accepted by the Department of Housing and Community Development through May 21st here. The new iteration of the code will be adopted by the BHCD sometime this fall and after it is approved by the governor’s office, it will go into effect next year. 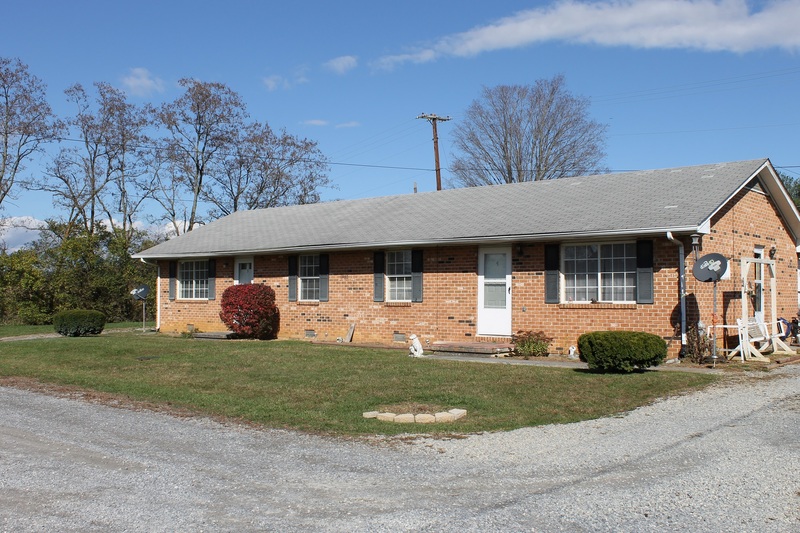 Christiansburg-based Community Housing Partners or CHP — VAEEC Business Gold member and May Featured Member of the Month — operates a vast portfolio of programs and services in the realm on energy efficient buildings here in Virginia, across the country and in Latin America. In recent years CHP has really made a name for itself by providing top-notch trainings in energy and conservation practices, weatherization and green building. 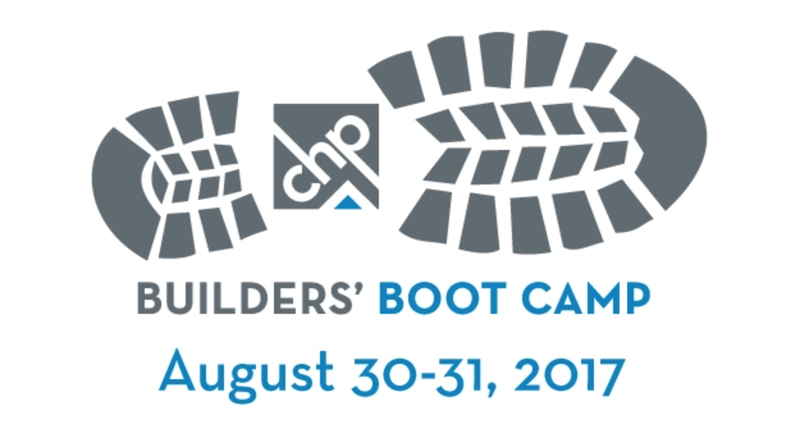 One of their premier trainings is the CHP Builders’ Boot Camp which will be offered again August 30-31, 2017. This is an intensive, interactive, and collaborative learning workshop experience for construction industry professionals located at the CHP Training Center in Christiansburg. Held periodically throughout the year, Builders’ Boot Camp equips participants with the most current construction industry information and skills needed to maintain an edge in the business and provide the highest quality services to their clients. CHP’s experienced team of BPI, RESNET, and EARTHCRAFT-certified trainers provide trainings that focus on home performance using a whole-house approach, with the goal of creating single and multifamily homes that are good for people, good for the environment, and good for business. Technicians are taught practices and techniques that test and reduce energy consumption, address health and safety concerns, and determine how the building shell, appliances, and occupants interact with one another. Detailed curricula, hands-on exercises and innovative models support these training efforts. At a time when studies and surveys show rising demand for energy efficient homes, Builders’ Boot Camp is the all-in-one training for builders wanting to acquire or refresh their knowledge and skills. You can watch a video overview of their Builders’ Boot Camp, learn more about CHP and their trainings, and register here.